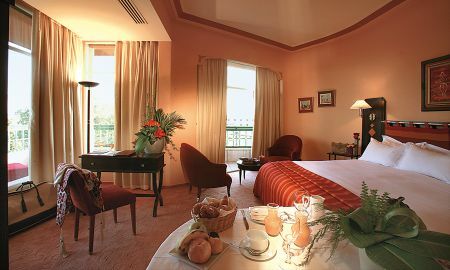 The Es Saadi Marrakech Resort – Hôtel, set in the elegant Hivernage area, 5 minutes away walking distance from the old town, offers a wide range of exceptional services in its luxuriant 8 ha park. 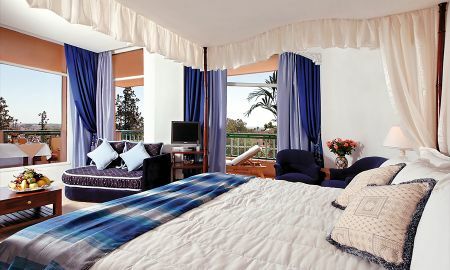 The Resort boasts 8 restaurants, 5 bars, the 3 000 m² Palace Spa, the Oriental Spa, a Dior Institut, the Palace and its private Villas, an outdoor heated swimming pool, a fitness center, a tennis court, the Casino de Marrakech and the TheatrO nightclub. Thanks to this exceptional diversity of services our 5* Hotel is an ideal place for your stays. 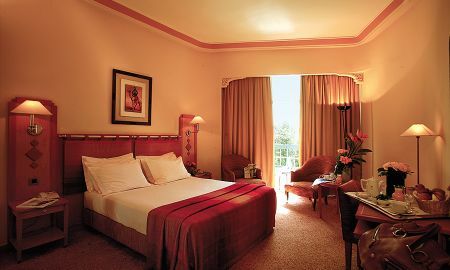 Since 1966, this 5* Hotel is a well-known place in Marrakech. It proposes 150 rooms, including 15 suites, all renovated and all with balcony. Should you come for business or leisure, the personalized service and the sense of welcoming of this great family business is waiting for you. An exceptional location in the city-center of Marrakesh, in the Hivernage area, 5 minutes away walking distance from the Medina (old town) and most tourist attractions and 15 minutes from all the golf courses. 10 minutes away from the airport and station.